The Amsterdam coffee shop reviews on this page focus only on the best coffee shops in Amsterdam. We put this Amsterdam coffee shop guide together because, logically, many foreign visitors have trouble picking the best coffee shops from the +200 that Amsterdam has. 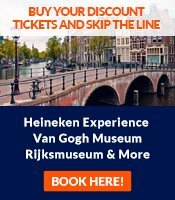 This list is limited to the coffee shops in the Amsterdam city center, however, since that's where most visitors are staying. To find them easy, we put all these coffee shops on our Amsterdam coffee shop map. If you know other coffee shops that should be included in these Amsterdam coffee shop reviews, let us know. Located just behind the Dam square, this is probably the most beautiful Amsterdam coffee shop, done totally in a kind of fantasy style with glass floors and ceilings, spiral staircases, and layered mosaics. It has 3 stories in different 'moods'. The second floor has it's own DJ - you can ask him to play a particular record. On the third floor, you can see how cannabis is actually grown. There's internet access, too - the first 15 minutes are free if you buy a drink. Popular Barney's, located in one of the nicest shopping streets of Amsterdam, is actually part of a chain. Next door is Barney's Farm, a classical cafe for lounging, and across the street is Barney's Uptown, a classy and (or should we say but) 'smoker friendly' bar and restaurant. The coffee shop is a multiple winner of the High Times Cup for best cannabis. Located in a former police station on the Leidseplein, Amsterdam's leading nightlife square, the Bulldog is probably the most famous listed in these Amsterdam coffee shop reviews. The place looks a bit rundown, however, like a mixture between a police station and a squatted house. The Bulldog chain runs several other coffee shops , a hotel and a bike rental. While the coffee shop was a scene for the movie Ocean's Twelve featuring Brad Pitt and George Clooney, the coffee shop looks more like the stage for Lord of the Rings - a wonderful hobbit hideout. The New Dampkring at the Haarlemmerstraat (which has a much cleaner, modern vibe) and the Tweede Kamer coffee shop are from the same chain. 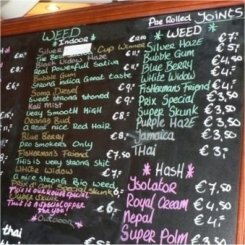 This funky coffeeshop, decorated in all the colors of the rainbow, has a reputation for good quality weed. It has won quite some prizes. he staff is friendly and knowledgeable. The DJ will play your music if you bring it. It's a small place, though. Don't forget to take a picture with one of the one-foot size joints. Contrary to Global Chillage, the former coffee shop located here, Happy Feelings looks more like a trendy designer cafe than an Amsterdam coffee shop. Instead of a bartender, they have machines for coffee, snacks and soft drinks. It's located in a side street from the well-known Leidsestraat. The cannabis seems to be decent quality. Greenhouse has multiple locations. The one mentioned here, just behind the Dam, is one of the most popular listed in these Amsterdam coffee shop reviews. It boasts some famous visitors, including Lenny Kravitz, Quentin Tarantino and Jon Bon Jovi and the marihuana quality is very good. The atmosphere is funky and psychedelic. The kitchen serves breakfast, lunch and dinner. This coffee shop has a classy, modern lounge style, with comfortable benches and lounge jazz music. Hill Street Blues also has a branch nearby, at Warmoesstraat 52, which is mix between Amsterdam brown cafe and a hippy hangout. You can play pool, table football and a host of board games here. Located near the Dam, Homegrown Fantasy looks plain from the outside, but very colorful on the inside, with yellow walls, modern art and wall paintings. The UV lights in the toilets will make body fluids look like green milk. It has a reputation for good quality weed and the space cake is quite famous. There's been talk of this place having to close down, so check this before heading out. A modern and clean, but small coffeeshop that's known for good quality weed and excellent space cake. The music is jazz and funk. You can play electronic games here. You can sit upstairs and downstairs. The staff is usually friendly. Its keyword being "relaxed", La Tertulia is backpackers favorite. It has an outside terrace overlooking the canal (and Van Gogh inspired mural paintings on the other side). It serves delicious ice cream milkshakes and fresh juices and you can buy crystal stones and jewelry here. Non-smokers are welcome, too. It closes early in the evening, however. Operated by the folks who own the Dampkring, the Tweede Kamer is named after the Dutch parliament. 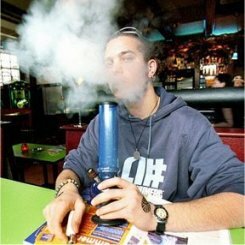 It's a cosy, wood-panneled place that has a reputation for high quality hash, since they always focused more on hash than weed. It's located near the Spui and the Flower Market ('Bloemenmarkt'). Again, if you know of other coffee shops that should be in these Amsterdam coffee shop reviews, let us know. Amsterdam coffee shop owners, please don't bother!